Beautiful country tie with embroidered leaping hares on a dark green background made from a combination of silk and wool. Premium English silk is used in the making of this neckwear which is both milled and hand stitched in the UK. A fine example of traditional craftsmanship. One of our Countryside Premier Collection. 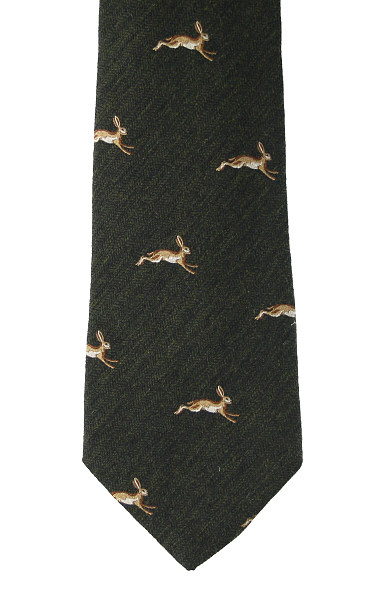 A running hare motif on an dark muted green tie made from a combination of silk and wool.